The Ontario Immigrant Nominee Program (OINP) is designed to help Ontario employers gain access to the skilled workers they need by expediting permanent residency applications for appropriate applicants. The OINP will nominate candidates who fulfil the appropriate criteria to Immigration, Refugees and Citizenship Canada (IRCC) who will make the final decision on any permanent resident visa. There are three categories of people who may apply through this program, with subdivisions as detailed below. Important note: persons making a claim for refugee status in Canada, or who have had a refugee claim rejected, cannot apply to the OINP unless they leave Canada and apply from outside the country. A foreign worker may apply via the OINP if s/he has an offer from an Ontario employer or a company that is making an investment in Ontario (which must be approved and endorsed by the government of Ontario) of a permanent full-time job in the province. This must be a job in a highly skilled occupation (National Occupational Classification 0, A or B) and for a wage that matches wages for Canadian citizens in that occupation. The applicant must have been working in the same occupation for at least two years in the previous five or be licensed in Ontario to carry out the relevant occupation. As above, an international student may apply via the OINP if s/he has an offer from an Ontario employer or a company that is making an investment in Ontario (which must be approved and endorsed by the government of Ontario) of a permanent full-time job in the province. This must be a job in a highly skilled occupation (National Occupational Classification 0, A or B) and for a wage that matches wages for Canadian citizens in that occupation. The applicant must have studied for a degree or diploma for at least two years at a publicly funded Canadian college or university; they must have graduated successfully not more than two years prior to applying to the OINP and at least half of their studies must have been undertaken in Canada. Applicants only need to have studied for a single year full time if they were undertaking a postgraduate course (e.g. a Master's) for which a previous degree is necessary. Masters graduates may apply directly to the OINP without having a job offer. Applicants must have completed a full-time Masters Degree lasting at least one academic year, or completed a PhD (lasting a minimum of two years) and have undertaken this within the previous two years in an Ontario publicly funded university. Applicants must have a legal right to stay in Canada, be currently living in Ontario and demonstrate a commitment to settling there permanently. Applicants must be able to show that they have lived in Ontario for a minimum of 12 months out of the previous 24. A proficiency in English and/or French at Canadian Language Benchmark level 7 is required, and the applicant must show that they have sufficient financial resources to support themselves and any dependents. Students still undertaking their studies, even if they are in their final semester, and those intending to undertake further studies in Ontario, are not eligible to apply. To qualify for the OINP in this stream applicants must already have been accepted onto the IRCC’s Express Entry pool. Ontario authorities regularly search the Express Entry pool and offer invitations to apply to the OINP for suitably qualified candidates. As with the previous express entry qualification, candidates must already be part of the IRCC’s Express Entry pool: Ontario authorities may give priority to French speakers, provided a requirement for workers in this category has been identified. This stream is designed for existing international corporations who wish to set up or take over businesses in Ontario. 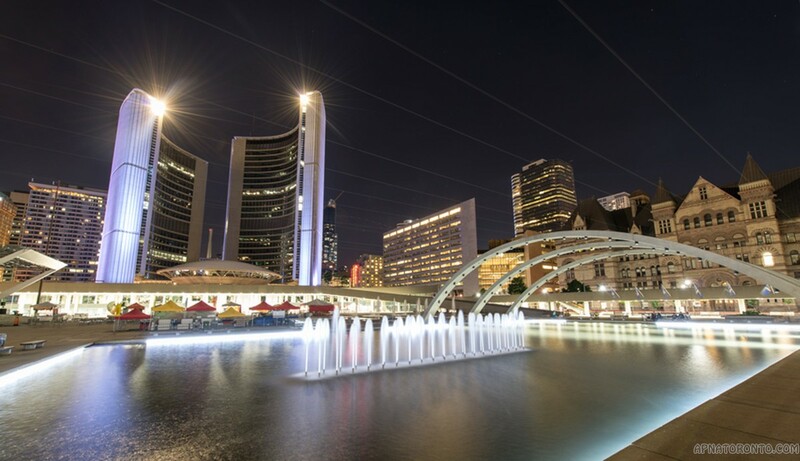 If the Government of Ontario judges that the business of the corporation will be advantageous to the economy of Ontario then key staff may be given a temporary work permit which may in future, subject to criteria, be converted to permanent residency. To qualify for this stream a corporation must invest at least $5 million into their business and for every key staff position the corporation must offer five full-time permanent positions for Canadian citizens/permanent residents. The corporation must be able to prove that the key staff are vital for the business in Ontario, and the staff must be proficient in English and/or French up to Canadian Language Benchmark level 5. This stream is for applicants who have a business proposition that may bring significant economic benefits to the province. Candidates should register for this stream by completing an Expression of Interest, from which applications will periodically be drawn. Applicants who are selected will be supported in applying for a temporary work permit from the IRCC, and if the business meets its commitments (which will be outlined in a Performance Agreement) candidates and their business partners may be accepted on the OINP. In order to be eligible all applicants (including their business partners) must have been working full-time in running a business (or working as a senior manager) for three years of the previous five. If the proposed business is to be established in the Greater Toronto Area a minimum net worth of $1,500,000 is required ($800,000 elsewhere or for ICT Digital Communications business). Candidates must invest $1,000,000 of personal funds in their business (inside the Greater Toronto Area, $500,000 elsewhere or for ICT Digital Communications business). Candidates must own a minimum of one third of the business. The business must create a minimum of two permanent full-time jobs for Canadian citizens or permanent residents. If an application is based on taking over an existing business then candidates must have made a minimum of one business related trip to Ontario in the year before applying.